Earlier this week the Environmental Protection Agency (EPA) announced proposed plans to limit carbon emissions from power plants. The new rules fall under the Clean Air Act, mandating the EPA to reduce air pollution that harms public health. In the 2007 case Massachusetts v. EPA the Supreme Court ruled that the EPA had authority and obligation to regulate greenhouse gas emissions from vehicles. The Court’s decision also said that the agency was required to regulate these heat-trapping gasses unless it could provide a specific scientific basis for refusing such action. Given the lack of leadership and increasing polarization on the issues of climate and energy in Congress, President Obama made clear in his Climate Action Plan unveiled last year that he would utilize his own authority to act on climate. The center piece of that plan is adoption of EPA emissions regulation for new and existing power plants. Efforts to derail these proposed rules began soon afterward, but have thus far not stopped progress on the EPA completing its mandate. 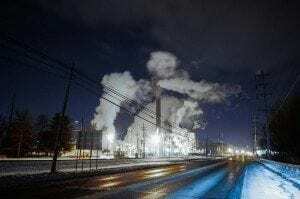 Power plants currently can dump unlimited amounts of CO2 into the atmosphere, accounting for 40 percent of all carbon emissions in the U.S., more than every car, truck and airplane combined, according to the Union of Concerned Scientists. The proposed new rules will require states to reduce carbon emission by 30 percent on average over 2005 levels by 2030. The EPA will set guidelines for states to follow to achieve these reductions, but states will have the flexibility to find their own solutions for reducing emissions, including increased efficiency measures, promoting development of clean energy sources and implementing more aggressive pollution controls on coal-fired plants. States can work together to achieve the 30 percent reduction, a model already proved effective in the Northeast with the Regional Greenhouse Gas Initiative. California’s cap-and-trade program further demonstrates that the proposed emissions reductions are doable, sparking innovation and economic activity in the process. The new EPA rules won’t come into effect for another year, possibly longer given expected efforts to block implementation. But if all does go according to schedule, the states will have until June 1st 2016 to submit their specific plans to the EPA on how the will achieve emissions reductions. This is an important first step for the U.S. to begin leadership in reducing carbon emissions. Just one day after the EPA unveiled its proposed emissions reduction targets Chinese officials announced a plan to set an absolute cap in carbon emissions by 2016. The argument that U.S. action on emissions regulations does no good without action first from other large emitters is thus made moot. Lead and others will follow.